Responsive Web Design gives absolute adaptability to virtually any device. It makes website dynamic, which is necessary for all modern websites. 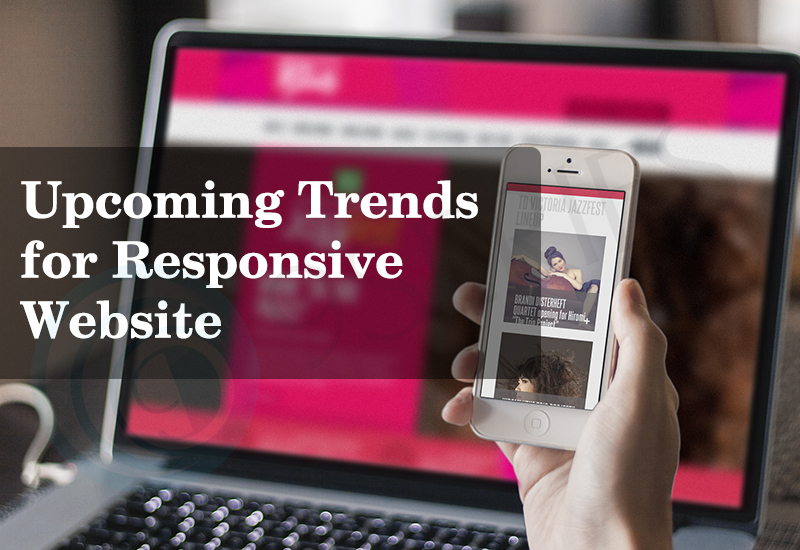 As a matter of fact, statistics show that most websites will be viewed on mobile devices in the coming future, so going responsive is the answer to coping with that. It has helped content marketers evolve and develop much more engaging content experiences by doing such thing that sounds easy; however one need to put efforts wisely to displaying the same content differently across devices effectively. According to Marketingexperiments, device adaptive design strategies benefited major businesses in increase conversions by 56%. While implementing responsive design is challenging, as many developers and publishers are still struggling to adapt their content to different layouts, there are rising technologies which they can leverage in order to give consumers a seamless experience. Adaptive Delivery technology : One of the trends is the Adaptive Delivery technology, which assures the type of device is identified in order to load specific types of coding of HTML and CSS. This way, images, the text or any type of content is loaded quickly on various devices. Simplification of content : Another trend is the simplification of content. Responsive Web Design is by default mobile friendly and mobile users are looking for particular content. Using clear and simple content, easy to browse and searching will make a site not only mobile friendly but, will also enhance the user’s overall browsing experience. Utilizing Frameworks : It is used to empower Responsive Website Design is another appealing trend. Frameworks are sets of scripts and standards which used to correctly make the site appealing from a visual point of view and provide simple and intuitive interfaces. The new role of responsive design analyst : With all of the variations over platforms that responsive design can offer, the brands will require analysts to manage these changes. In roles similar to mobile editors or upcoming platforms editors, these analysts will be the user advocates that figure out the balance between information and responsiveness. In near future, mobile editors and emerging platform editors are likely to gain good favor by helping brands to choose between adaptive delivery or responsive design, understand what progressive enhancement is, and coordinate content choreography. They will also help streamline information architecture and content reorganization efforts. This is an ideal technology for web publishing, as it addresses a huge audience. It is utilized to cover all browsing devices, screen resolutions and browsers and it will evolve soon. With the help of emerging PHP development frameworks like Laravel, and programming languages like CSS, Jquery, and HTML, user-friendly though powerful Responsive Website Development has become far easy than before. 2016 will surely see a remarkable growth in responsive website development. It is essential to be up to date with all the trends related to this web tech. The responsive design calls for a new focus on design which will require many changes, from exploring new hardware and software right down to the actual roles and responsibilities in business. However, this also opens up the possibilities of connecting with audiences in a much deeper way than we would ever know and collecting the data that will be crucial to brand and business success. With the experience of more than 9 years, at 9series, we are expert in developing stunningly designed responsive web portals which help a business to build the brand. Visit us for more details on our business solutions and services.